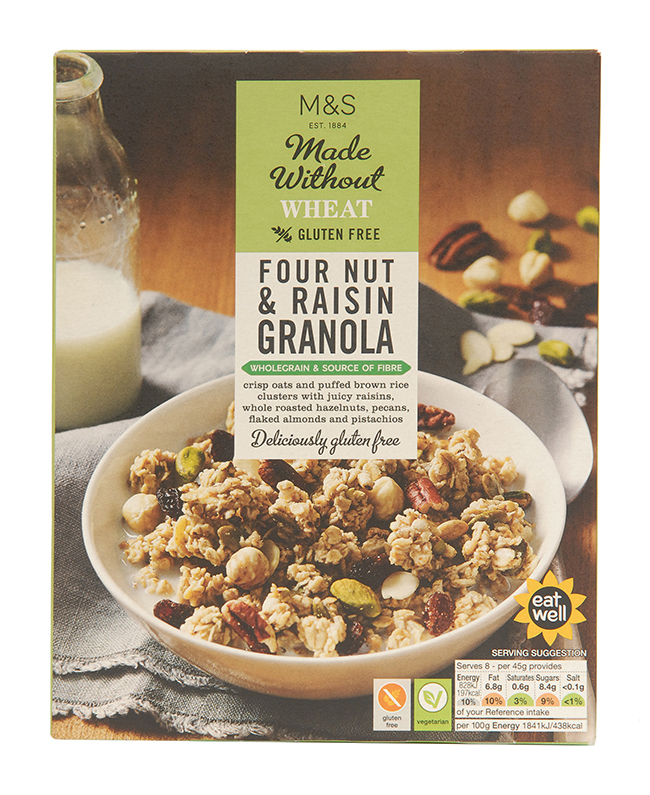 Marks & Spencer have just made getting up in the morning a lot easier with the release of a delicious new line of gluten-free cereals, including an innovative new gluten-free version of its best-selling cereal, Triple Chocolate Crunch. 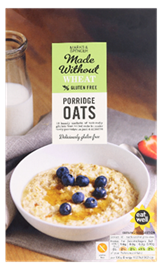 M&S have just revolutionised breakfast for gluten-free customers across the UK with the launch of a brand new range of gluten-free breakfast cereals as part of its Made Without range. 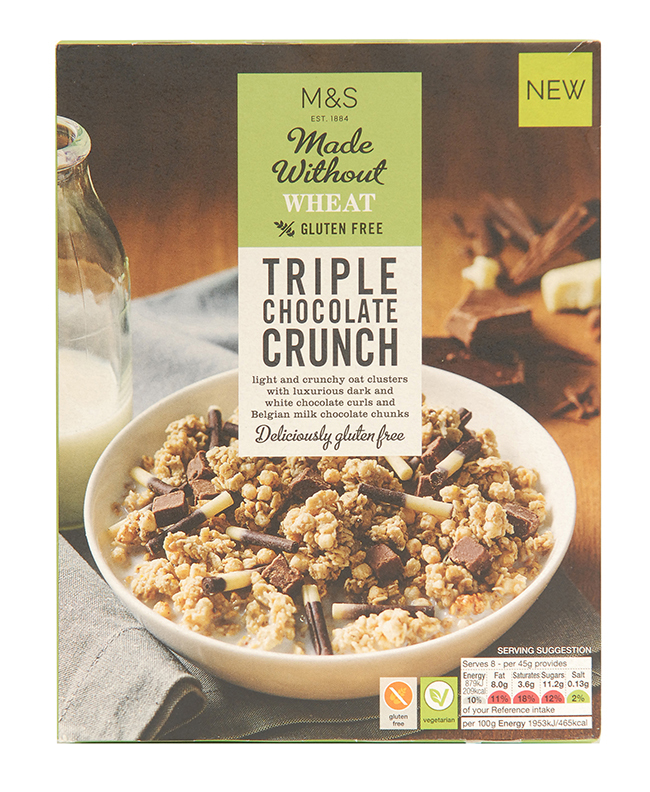 The retailer is even launching an innovative new gluten-free version of its best-selling and much-loved cereal – Triple Chocolate Crunch (£3, 360g). The gluten-free version of the popular breakfast is made with light and crunchy oat clusters, luxurious dark and white chocolate curls and Belgian milk chocolate chunks making it the perfect treat on a cold winter morning. Click here for ingredients. 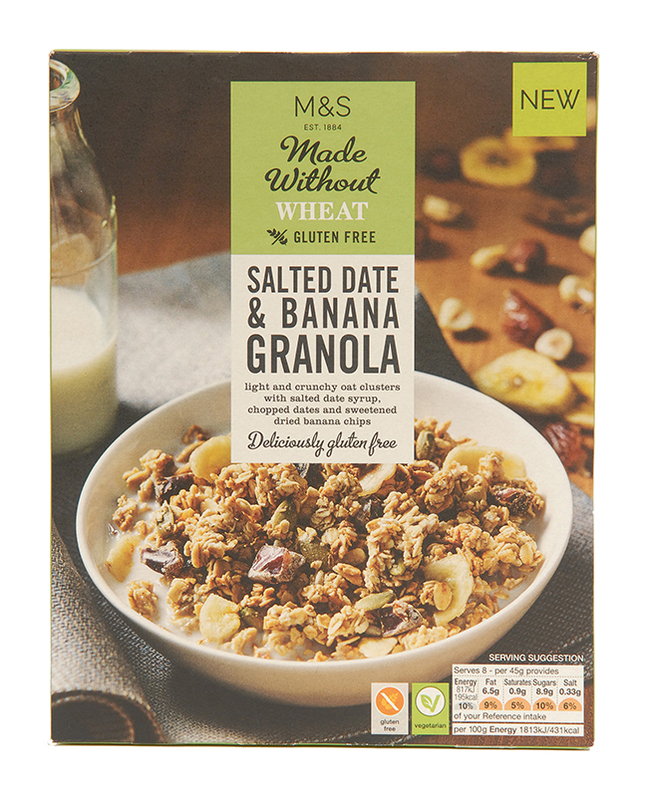 Triple Chocolate Crunch launches as part of a new gluten-free cereal range which also includes indulgent Salted Date & Banana Granola and healthy and delicious Porridge Oats. Deliciously crisp oats and puffed brown rice clusters with juicy raisins, whole roasted hazelnuts, pecans, flaked almonds and pistachios. Click here for ingredients. One of our favourite gluten-free cereals to be developed, light and crunchy oat clusters with salted date syrup, chopped dates and sweetened dried banana chips. 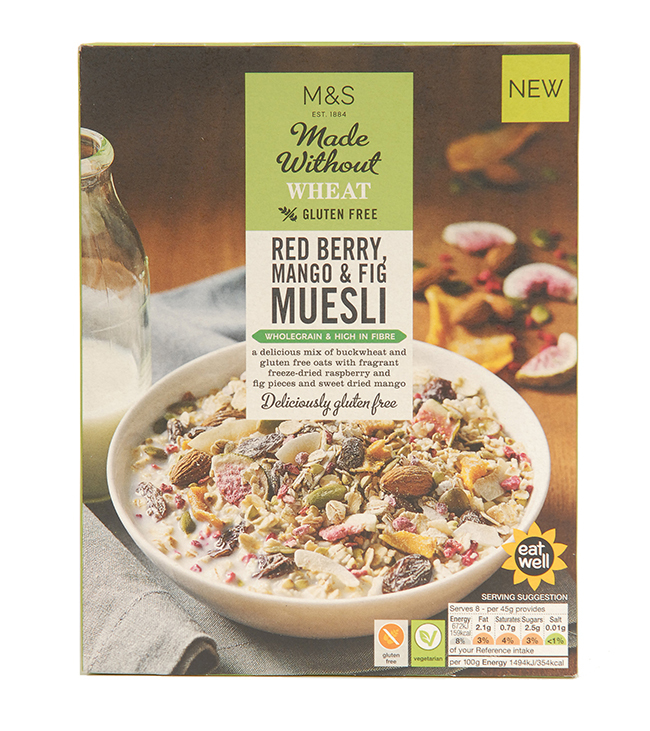 A delightful mix of buckwheat and gluten-free oats with fragrant freeze-dried raspberry, fig pieces and sweet dried mango. 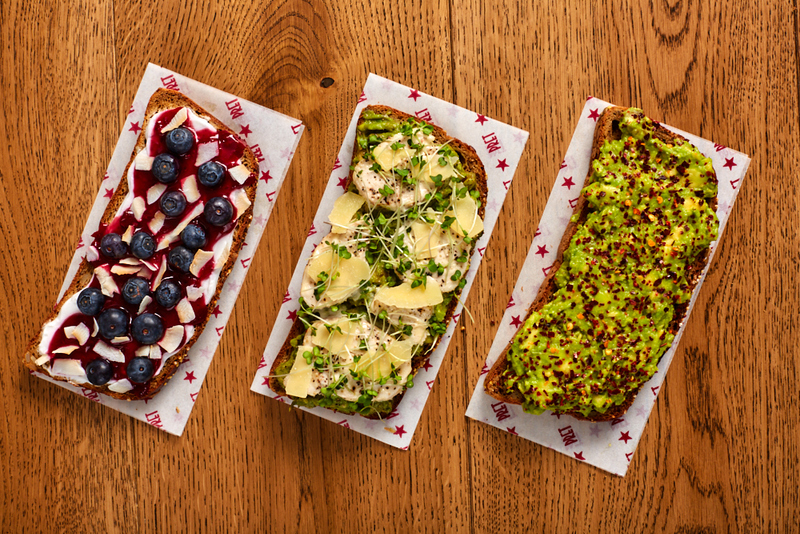 Filling and traditional made without wheat oat flakes, perfect for those cold, crisp mornings.